Why should customers buy glasses from optometrists when they can get them online for $95? Especially when people they know are buying online as well? Warby Parker claims that optometrists, medical professionals who specialize in face-to-face patient interaction and write glasses prescriptions, are just middlemen looking to make a sale. However, many patients realize the benefits of choosing their frames directly from an optical dispensary after they've regretfully chosen an unsatisfactory online retailer. In the past, we've reviewed Zenni's extremely affordable lenses and we've discussed how patient education can help fight against online retailers. Now we're getting proactive and helping ODs show patients precisely why they should choose a doctor's office over Warby Parker, one of the most popular online glasses retailers in the US. 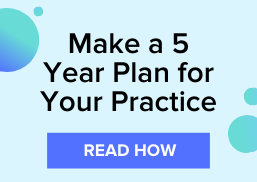 How can your practice stop losing sales to Warby Parker? We want to make sure you're ready to proactively boast about the benefits of ordering from your optical dispensary. Sometimes, that means you have to highlight the weaknesses of your competitors. Read our top 5 selling techniques below to set yourself apart from trendy online retailers like Warby Parker. One of the reasons that Warby Parker exploded in popularity is because they carry frame styles that appeal to the younger generations. Although this will require some industry research and social media digging, you can also carry designs that appeal to younger consumers. For young adults who may not be able to afford designer frames, you can source more affordable suppliers who may not be designer, but carry the newest trends in eyewear. Warby Parker uses only acetate to make their frames and many consumer reviews claim that their lenses are easily scratched or smudged, therefore they don't last more than a year or two. You can make the case that the frames you carry are tried and tested, long-standing brands with a reputable history for quality frames and lenses that are built to last years. Also, your practice offers adjustments and corrections for any faults. Always remind your patients that some online retailers do not work directly with your insurance the way your practice does. This means that the patient must file the insurance claims themselves and add to their workload. Speaking from personal experience, glasses ordered online almost never fit perfectly, even if patients get their pupillary distance (PD) from their optometrists. Pupillary distance doesn't take into account head shape, eye shape, ear shape, and activity levels. Although Warby Parker allows their customers to try on the frames, these trial frames don't include heavy or thick prescription lenses. Lenses change the weight and balance of the frames. An incorrect fitting can lead to headaches, rubbing, skin rashes, and overall discomfort. Warby Parker offers that customers can try 5 pairs at once (for 5 days) through free delivery before purchasing. This mean's that once the customer's card is validated and they chooses their trial frames, they will wait 3-5 business days for the package. Then, providing they've found frames that look good out of that first batch, they order them online and the fitted frames could take up to 7 business days to arrive. 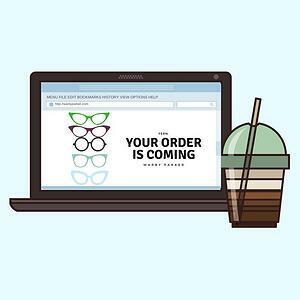 This means that customers have to wait a minimum of 2-3 weeks before receiving their new frames, which are most likely not a perfect fit anyway. At most optical dispensaries, frames are chosen in person with thorough measurements and the order is ready for pick up within about a week or less. If your patient has any specific needs for trifocals, designer brands, or desires a material besides acetate, they can't shop at Warby Parker. For some patients, these aspects are deal breakers, so you should mention them when showing patients around your dispensary. At your dispensary, patients can try on as many frames as they like, ask for opinions, and make a decision based on quality. Also, opticians can explain the different types of lenses, ask about the patient's lifestyle and needs, and deliver frames to their house if need be. Want more tips on how to make your practice more competitive? Subscribe to our blog and receive notifications when we post.